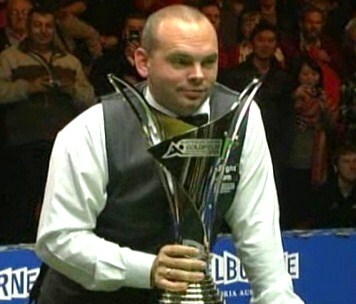 Stuart Bingham from Essex has been a professional for 16 years now but has never set the game alight until recently when he captured the Australian Goldfields Open title in Bendigo, Australia. He won it in spectacular fashion, beating the current world no.1 Mark Williams 9-8 from 8-5 down. Read more about the final here. Excerpts of this interview featured in this month's Snookered magazine. Read it as well as interviews with Michaela Tabb, Jimmy White and other features here. 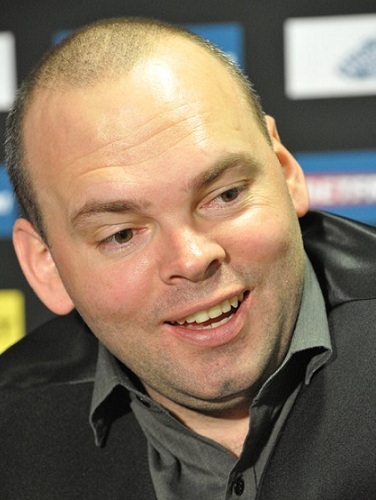 Stuart Bingham as well as other top pros Mark Davis, Tom Ford and Barry Pinches work with Stephen Feeney at SightRightUK. Find out more here. 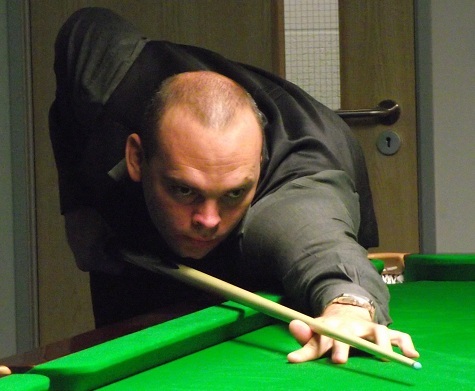 SK: What are your earliest memories of snooker? SB: I used to watch Steve Davis win everything in the early 80s. I remember wanting Steve to beat Dennis Taylor in the 1985 final. I think I cried a bit when Dennis won! SK: When did you first start playing the game? SB: My mum and dad got me a 6'3" table when I was about seven, but I didn't start playing properly until a month before my 14th birthday. SK: What made you want to turn professional? SB: I was always into sport. 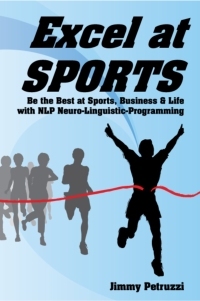 I played squash at the county level; I played tennis to a good level, football, golf, everything I picked up with a ball in it I was pretty good at. I started playing snooker, and when I had problems with my knee, I concentrated on snooker because you don't have to be that fit to play. 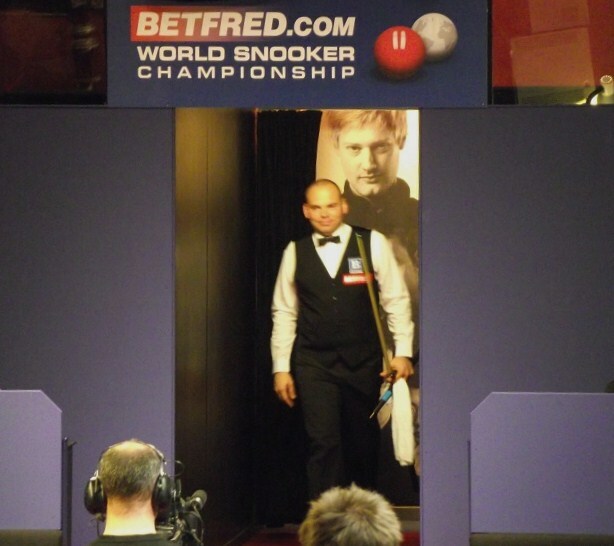 SK: If you hadn't gone into snooker, which sport would you have taken up full-time? SB: At the time I was ranked 12th in Essex when I was 14 in the under sixteen’s in squash, but there was no money in it so I focused on my snooker. SK: When you turned professional, what were your first few seasons on the tour like? SB: I remember turning professional at the same times as Paul Hunter, Quinten Hann, and I got to 327 the first year and then had a slow year after. The first couple of years it was at Blackpool, but after that all the qualifying systems changed, they kept 96 players on the main tour and I didn't get through the qualifiers. I went on the UK tour, all around and then up to Scotland, things like that. SK: Which was your first televised match? SB: That was in the Regal Welsh tournament in 1999. I was playing Drago, first match, first day on the TV table. I beat him 5-0 in about 76 minutes. SK: Apart from the Australian Open win, what have been your other career highlights been so far? SB: Winning the English Amateur Championship and the World Amateur Championship, in the same year, 1996. Also, winning the Masters qualifiers two years on the bounce was amazing at the time. SK: When you beat Stephen Hendry in the World Championship, how did that feel at the time? SB: That was just unreal, a life changing experience. It proved to me that I was good enough. And I enjoyed every second of it. SK: What changed in the last year or so that pushed up your game to the next level? SB: I've been working with a new coach; Stephen Feeney from Sight Right UK, for the last year. Things are also going well for me off the table as well; I’ve been with my fiancée Michelle for the last two years. Everything is clicking well off the table and that shows on the table. SK: In the Australian final, did you always believe you could come back from 8-5 down to win? SB: No, not really! I remember the shot that changed it. He was 8-5 up but I was 40 in front but he pulled it back to almost level and he snookered me on the last red. I thought I might as well try and do something as I got nothing to lose now, and I hit it and snookered him back. I laughed and tapped him on the back and he had no expression! I got back in, won the frame and saw him walk off to the toilet and I thought “That could change everything.” And that would affect him and it ultimately did. SK: What stage of the tournament did you think you might have a chance of winning it? 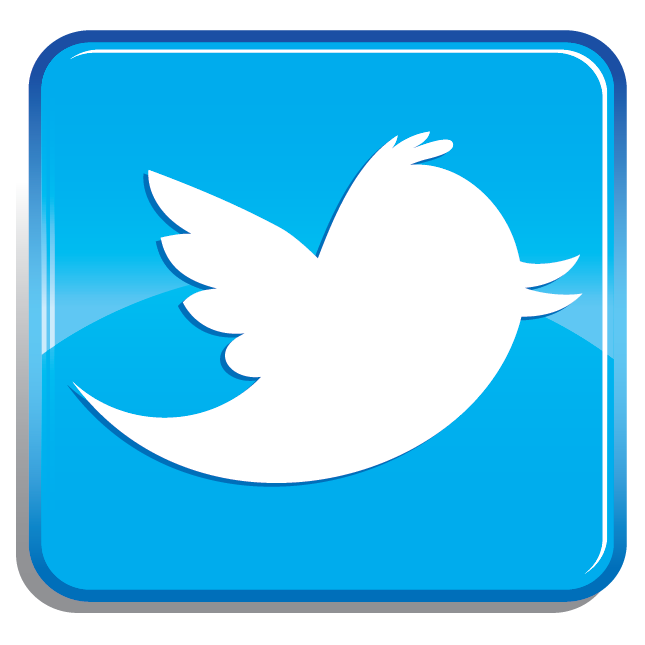 That it could your event? SB: Earlier the first couple of practice days, really. I got there late Friday Night and had a practice on Saturday morning, hitting a few balls. Next day I played a practice match with Mark Davis, best of five, I beat him 3-2, then played him in a best of 3 and beat him 2-1. Next day I played Nigel Bond. I beat him 6-1 and I had a couple of tons in that. And I thought I'm playing alright, I like this week, and this could be my week. I remember I kept thinking that. Sometimes you look at winners from past tournaments and you think, yes, it's their week, things just go their way. I remember Dominic Dale in Shanghai, everyone was struggling to make a 50 break, and he’s qualifying through matches, making several tons a match and sometimes I think when it’s your week it is your week. SK: What did you do when you get home to celebrate your win? SB: First off I tried to get my sleeping pattern right. I got back on the Tuesday and we went out to celebrate on the Friday. There was my mum and dad, my brother and his wife, their little girl, me, my fiancée, my manager and his wife. It was a nice family outing to a place called the Outback funnily enough. I had to put something Australian in to it! We had a nice meal and that's who I wanted to celebrate with. It felt a big flat out there because I had no-one there with me to celebrate, no-one to bounce off with. Jan Verhaas, Michaela Tabb and Mike Ganley were there and that was great but I missed my family. SK: What are your ambitions for the rest of the season? What do you hope to achieve? SB: To start with, to stay in the top 16, I was 17 at the start and I'm going to be around 11 when the rankings change. With the points I got coming off for the rest of the season, I probably can't help but stay in the top 16. If I have a good year like last year and keep that up, I can get to the top eight, I've got a chance. SK: The big goal would be to do well in the UK Championship, Masters and the World Championship. SB: Being a top 16 player is new to me, and the first match in a major event is going to be massive. I’m only playing one match now to get in to the last 16 of a tournament whereas the whole of my career I have had to win two or three to get there. SK: You touched on it earlier, you like a lot of other sports including. Do you still get a chance to play golf? SB: It's non-existent at the moment. The last time I played was a couple of days before I left for Australia. I haven't even wanted to pick up my golf clubs. I'm not that fussed at the moment, I know a few of the golf pros down the local driving range. I've been struggling for the last couple of years with my golf game but I haven't put any work into it to get it better because I'm concentrating on the snooker. I've got a few charity dates lined up and that's the only thing I'm playing at the moment. SK: Are you also a football fan Stuart? Which team do you support? SB: If any, Liverpool. To be fair my dad is the Manchester United fan but I know more about United than he does! I like watching good football in general, and when England's playing, I'll watch it. But I don't really go out of my way to watch it; I'm not a big fan as some of them. 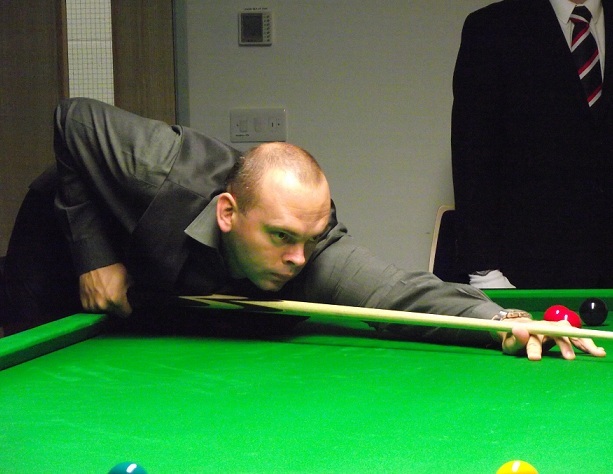 Thanks again to Stuart Bingham for taking the time out to be interviewed and all the best for the season!